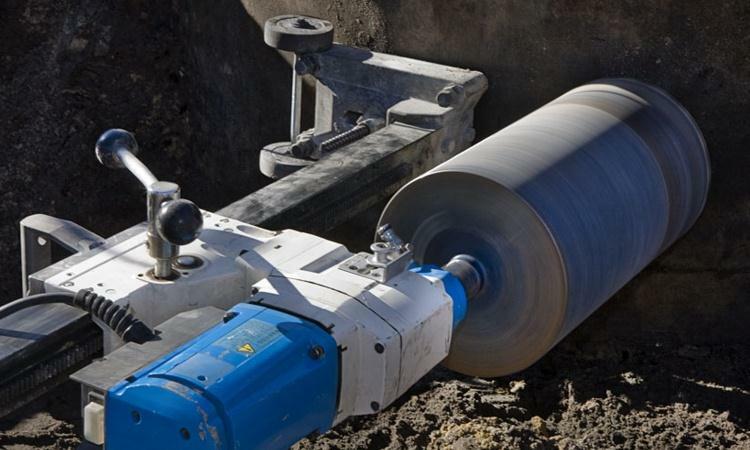 Cuts clean and accurate holes through steel reinforced concrete, brickwork and all types of aggregate without the structural damage of impact methods. We offer drilling in excess of 750mm diameter and a range of electric, hydraulic and air motors. Drilling is also possible both angled and inverted, depths in excess of 10m, along with full water control.